Where to draw it. How to stay above it. The Line builds on Barbara’s expertise in IntelligentRisking. This book goes beyond the traditional thinking of ‘how to resolve conflict with others’ by recognizing that all conflict begins within ourselves. In taking the concept of risk to the next level, Barbara explores how the fear of a negative consequence always leads to some level of internal conflict. The more conflict we internalize the greater our perception of the risk. Conflict is inevitable, never easy, and creates havoc that impacts your entire system; heart, mind, body, and spirit. The key to resolving conflict is to first explore, understand, and resolve the struggle it generates within you. 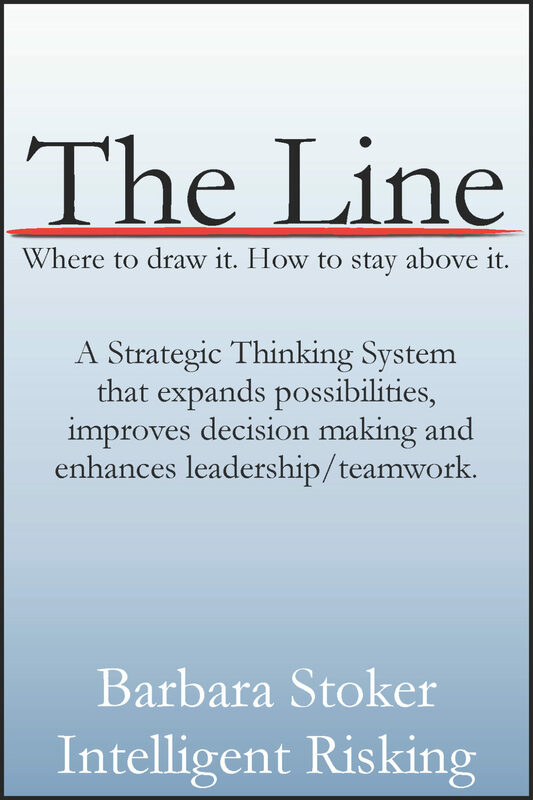 The Line provides a conflict solution process that includes Foundational Thinking, Assessment Models, Expansive Thinking, and a 7 Step Conflict Resolution Process. Barbara has been successfully teaching this model for years.